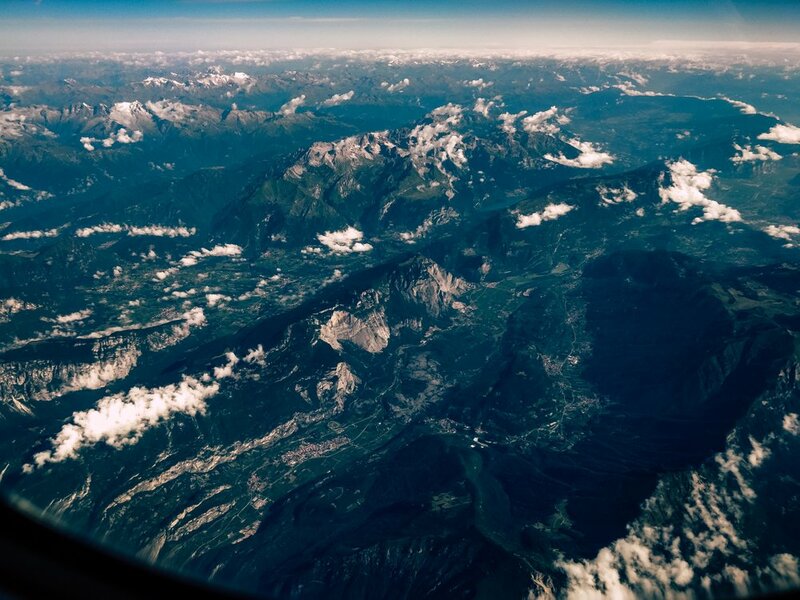 ✌️Bergamo was the last stop on my trip Milan-Lake Garda-Bergamo. 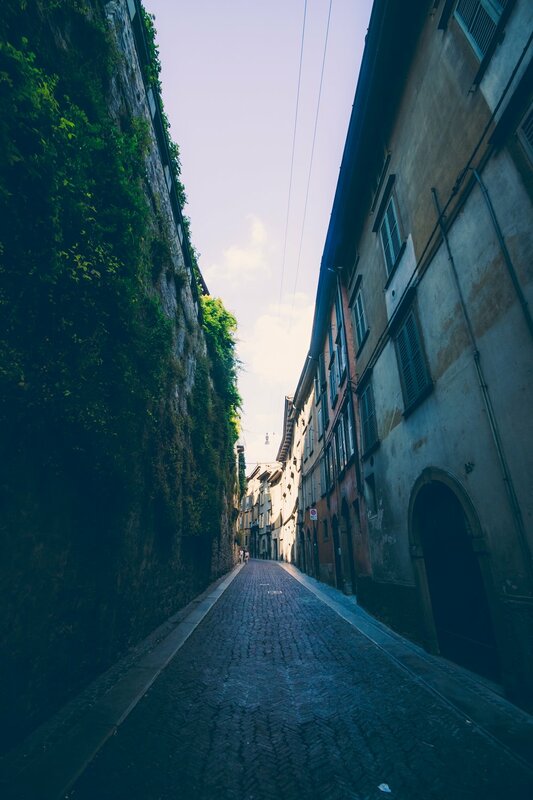 Is it true that the city is only a short stop for a further trip around Italy? I checked it and I will gladly share my experiences with you. 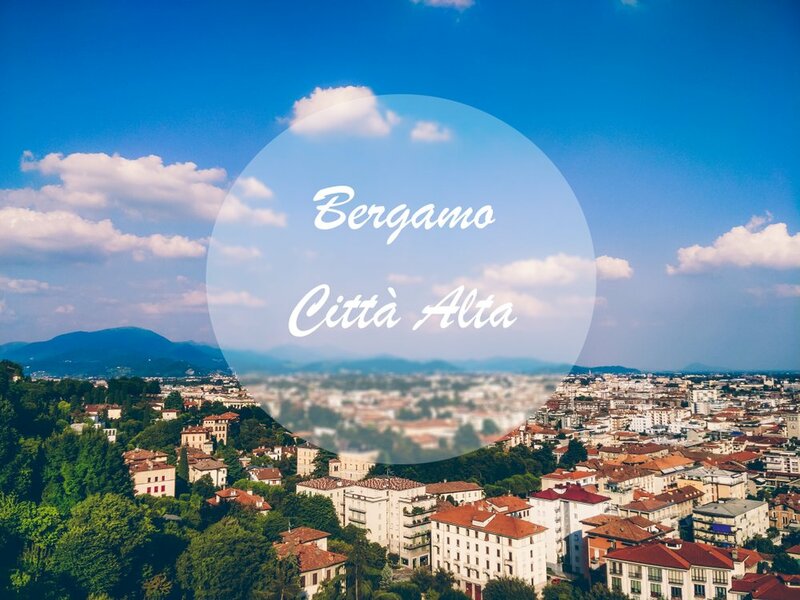 Bergamo is often referred to as a 'cruising city' when traveling to Milan or Venice. It is a bit wrong due to the presence of an airport where low cost airlines have their bases. 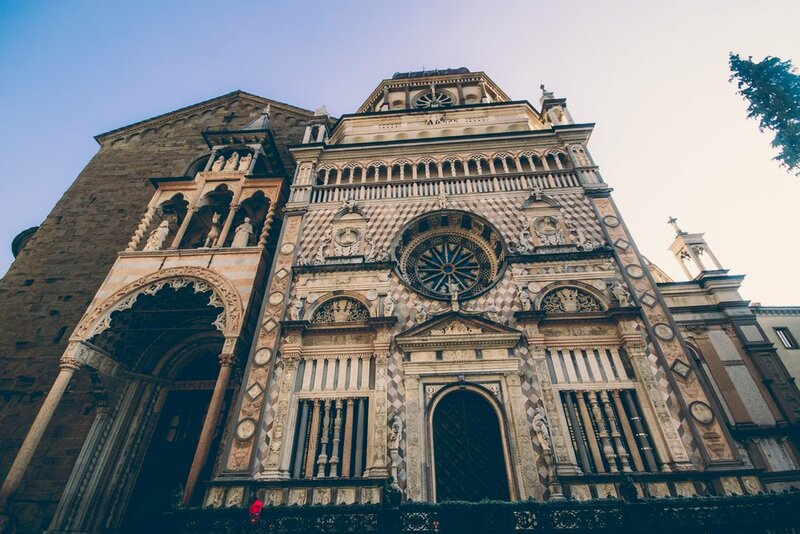 But does Bergamo have nothing more to offer? Well, it has! And a lot. 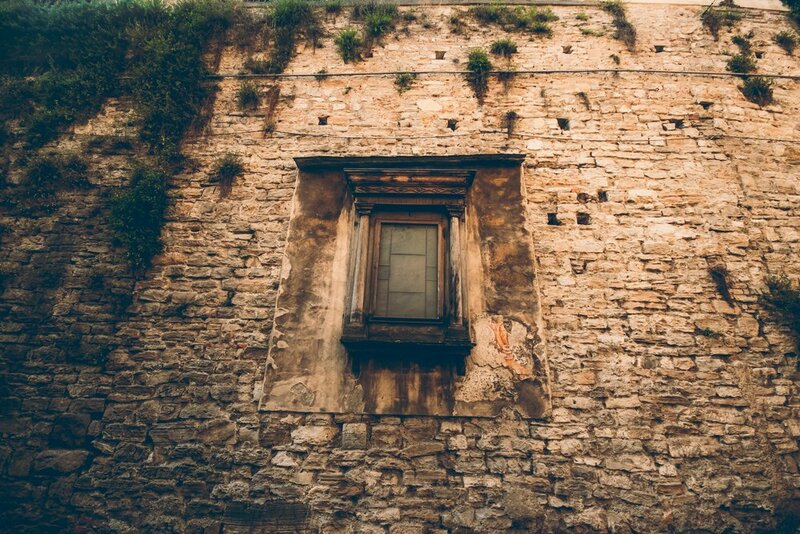 The city has a rich history that goes back to the times before the era, great monuments and a fantastic panorama of the Alps. And although I spent only one afternoon there, I feel unsatisfied and I will gladly go for longer explorations. The main destination was Città Alta - Upper Town. 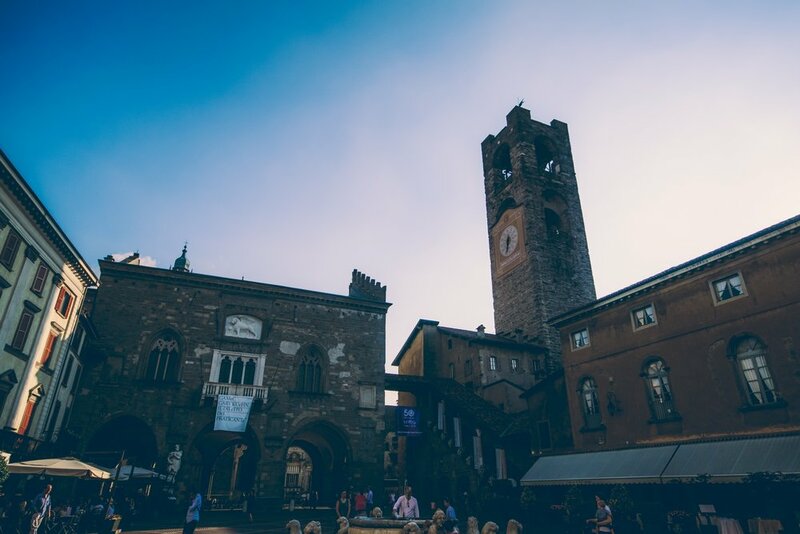 The old city surrounded by walls is Bergamo's showcase. Beautifully located, with charming streets, pubs serving delicious food and history in the background. 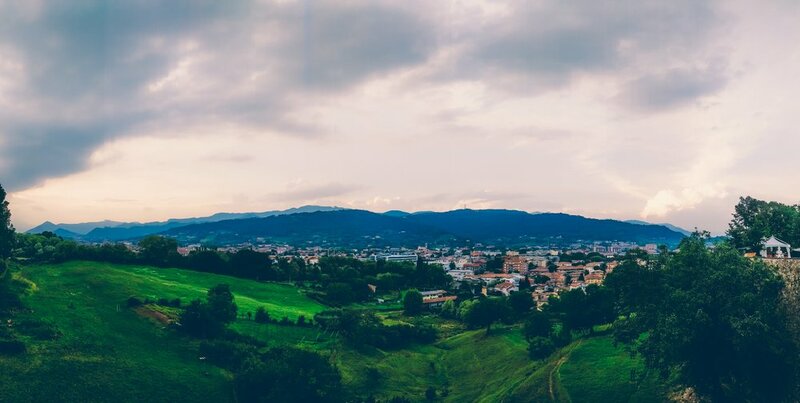 You can get to Città Alta by foot or by a climatic wagon that will take us up. If you choose a walk, you are already at the top waiting for you a beautiful panorama of the city. 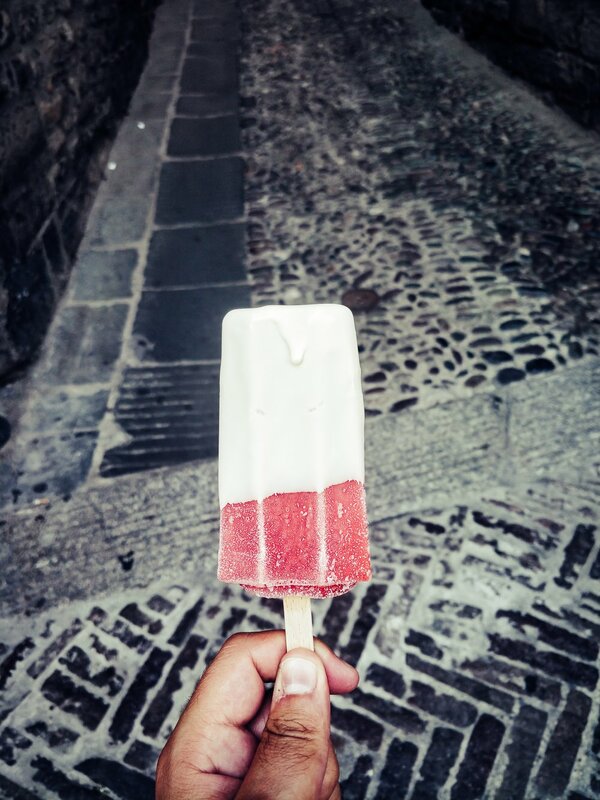 After crossing the gate, you can head for delicious ice cream. 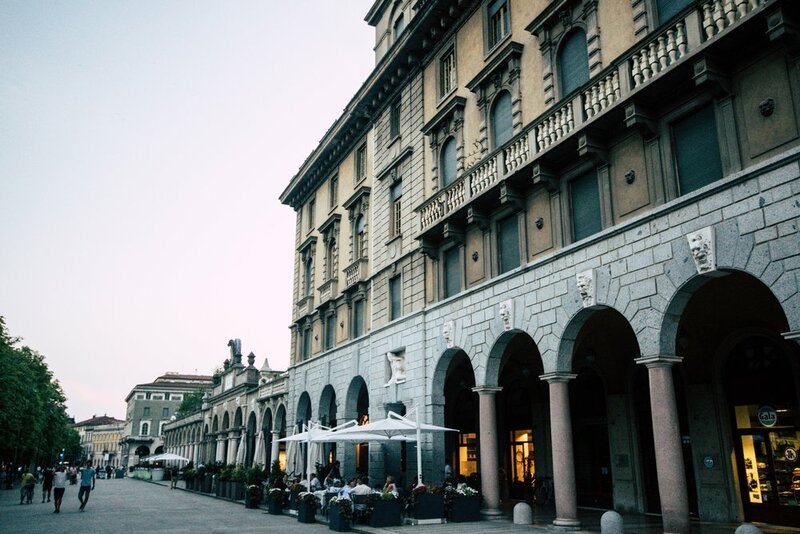 Following a leisurely stroll, you will come across the first important point of the Upper Town - Piazza Vecchia, with its Palazzo della Ragione - one of the oldest public palaces in Italy. Nearby is the Piazza del Duomo, where Capella Colleoni stands - a chapel and a mausoleum, completed in 1476. 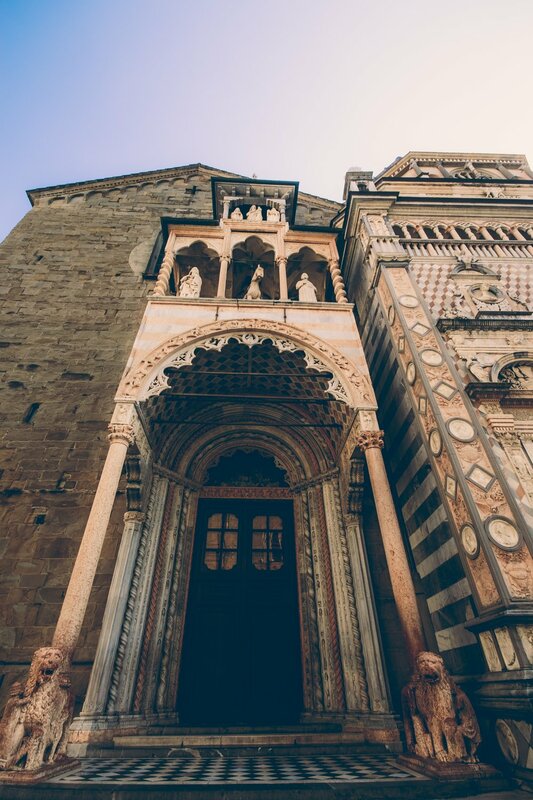 The chapel, and especially its facade of multi-colored marble, is a masterpiece of the Italian Renaissance. 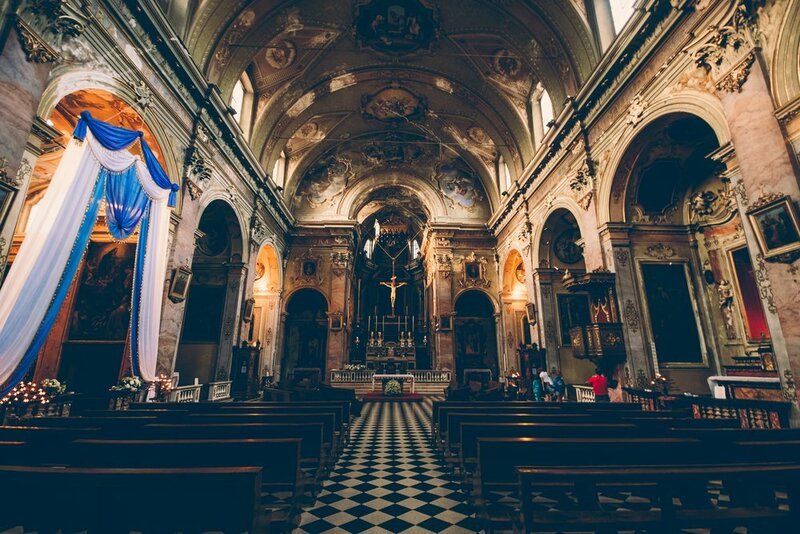 Being there, it is worth going inside the Basilica of Santa Maria Maggiore from the 12th century and admire the characteristic Baroque interior. Interestingly, the basilica has no main entrance. All four entrances that can be accessed are side entrances. The views inside are impressive! 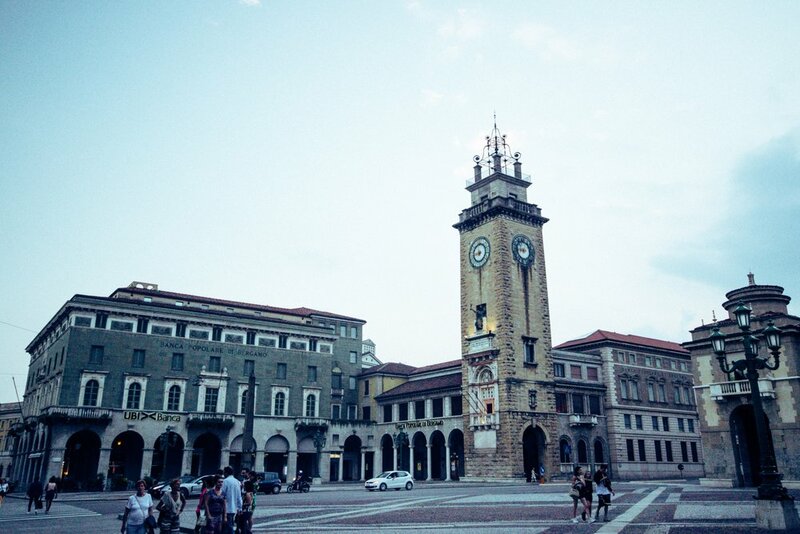 Also in this location is the Town Tower, called Campanone, because of the big bell that is in its heart. It is the highest tower in the city and one of the most important monuments of the city. 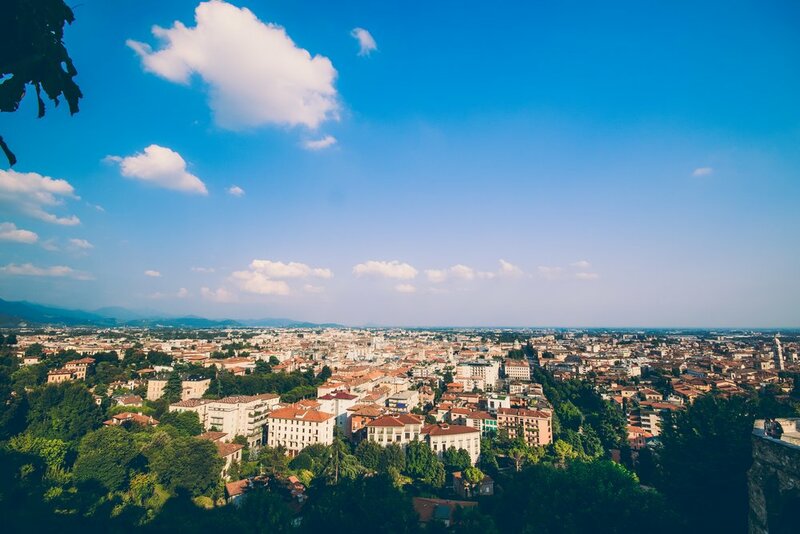 From the peaks you can admire Bergamo and the surrounding area. Visiting the whole city should take you several hours. While hiking, enjoy some food from some of the nearby pubs. Who is who, but Italians know how to prepare good food. If you reach the edge of the city, there will be such a wonderful view. For this view I am willing to come here again! 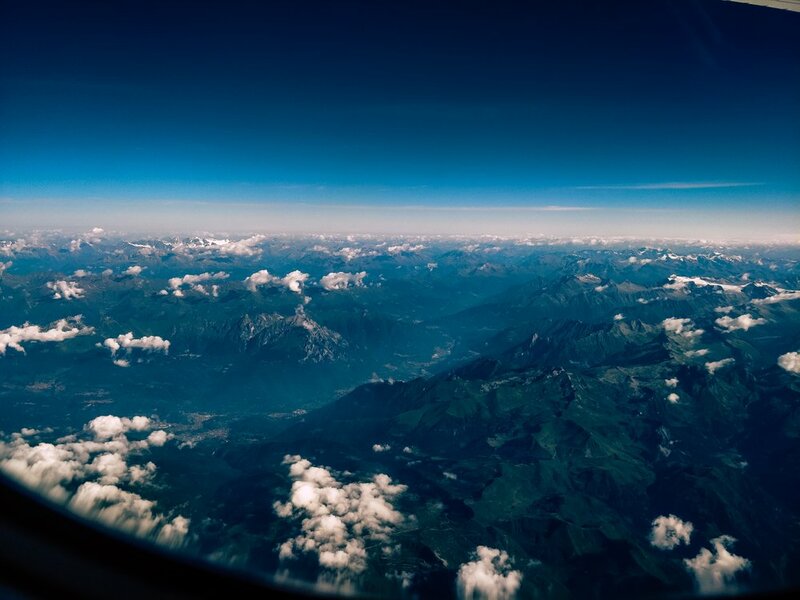 Return flight by plane also provides nice visual impressions. 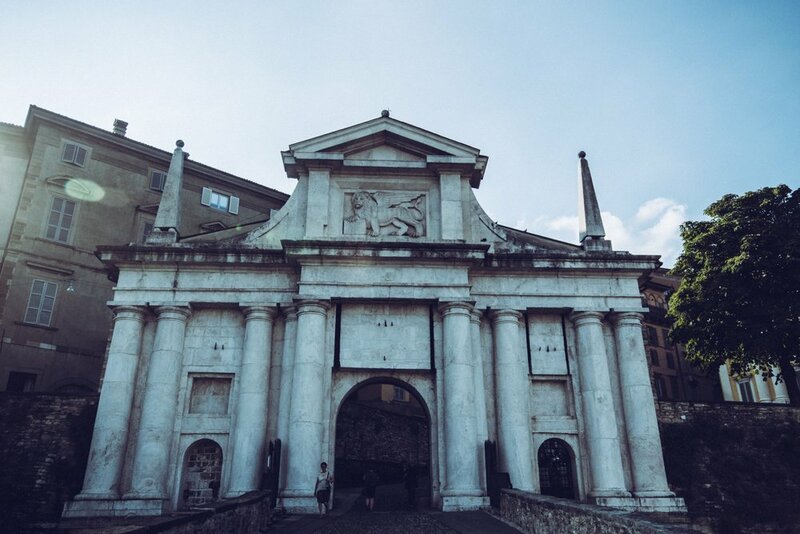 As I wrote at the beginning, this time I did not manage to stay longer in Bergamo, hence a shorter entry, but the city itself fascinated me enough that I would like to go back there for a more thorough tour. The city has a climate. Interesting sights and beautiful panoramas are what attracts you to this place.